Welcome back to Trendy Tuesday! So glad to have you here. I seem to have hit a crafting slump, but trying to find some creative juice again. Anyone ever have that happen? Could be due to the 12 or so inches of snow we got last night. Winter blizzards in April are SO unwelcome in my mind! I love to see your projects each week. Thanks so much for coming by and linking up. Here is the feature of the week. 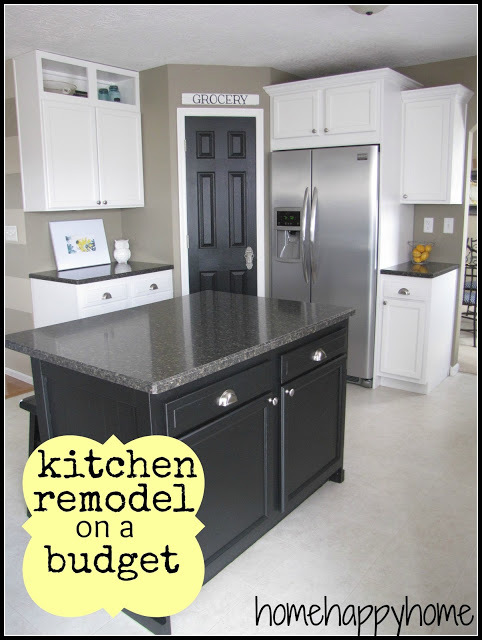 I love this kitchen redo from Home Happy Home...simple yet gorgeous and it has a lot of my favorite things in it. 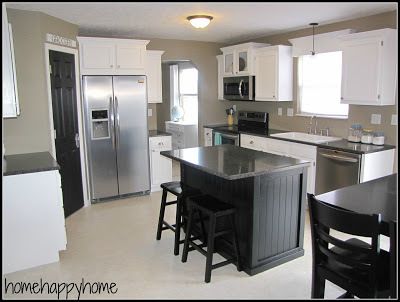 I love the black and white with the stainless appliances. Sara, I can so relate. I'm just coming out of a "slump".....was sick....then moved.....then helped one of my children move...spent some time with my grandchildren, all while fighting my fibromyalgia.....so, take all the time you need. I hope you get back into the crafting soon! Thank you for hosting! Thanks for being such a SWEET party host.